You've probably noticed that I'm a huge fan of my homeland Wales, as I am always writing about it and showing you photographs of some of the stunning scenery we have. One of my favourite parts of Wales is Pembrokeshire, and I take at least a few trips to West Wales each year. I was delighted then to become a #Bluestoneblogger and was treated to a stay with the husband-to-be in one of their fabulous lodges. 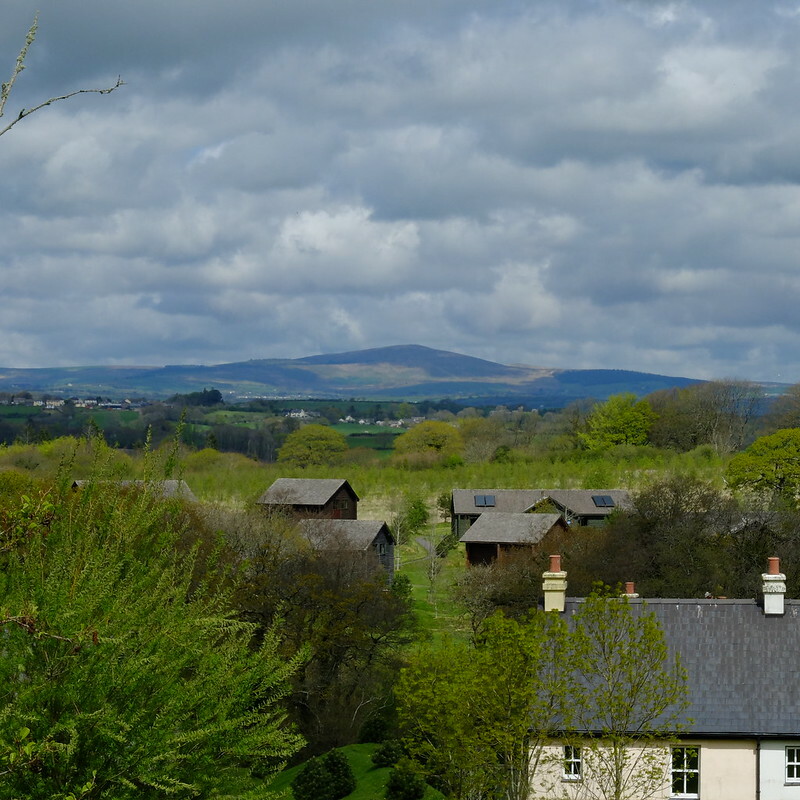 Bluestone is a resort of luxury lodges (a bit like Centre Parcs) nestled in a valley in the glorious Pembrokeshire countryside, with views over to the Preseli mountains in the distance. 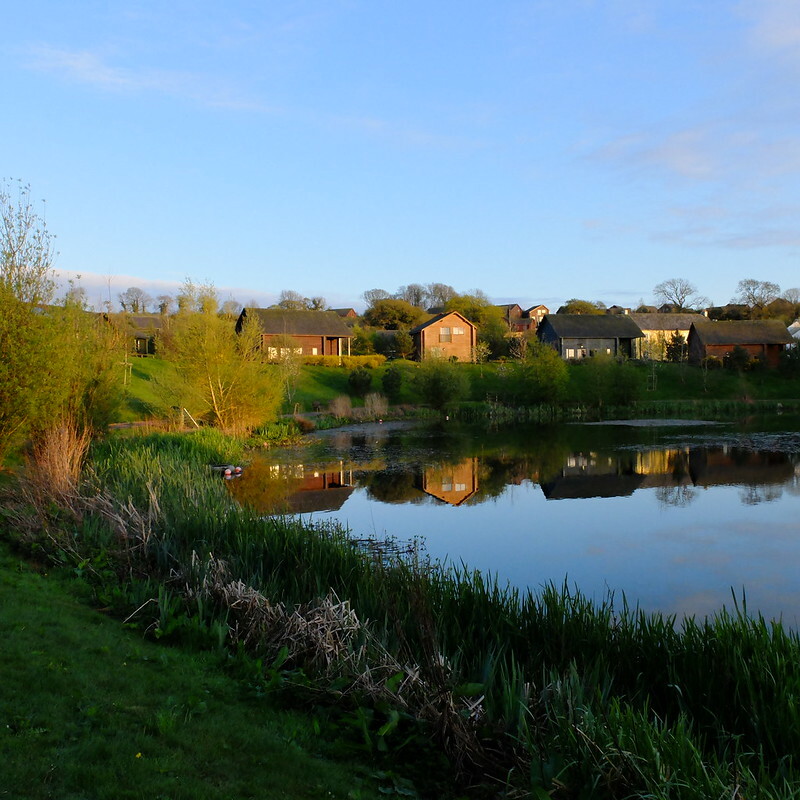 The lodges surround a small 'village' with shops, a pub, and restaurants and the whole site is car free. When I was looking up some information on the resort before our trip I noticed that there were plenty of reviews by mums, so that all of the information was child-centric. I wanted to know what Bluestone would be like for a couple, or perhaps a group of friends, so my review here is written from that angle. If you want to find out about all of the family-friendly activities then have a look at Laura's family holiday report here, and Leanne's new mum holiday here. 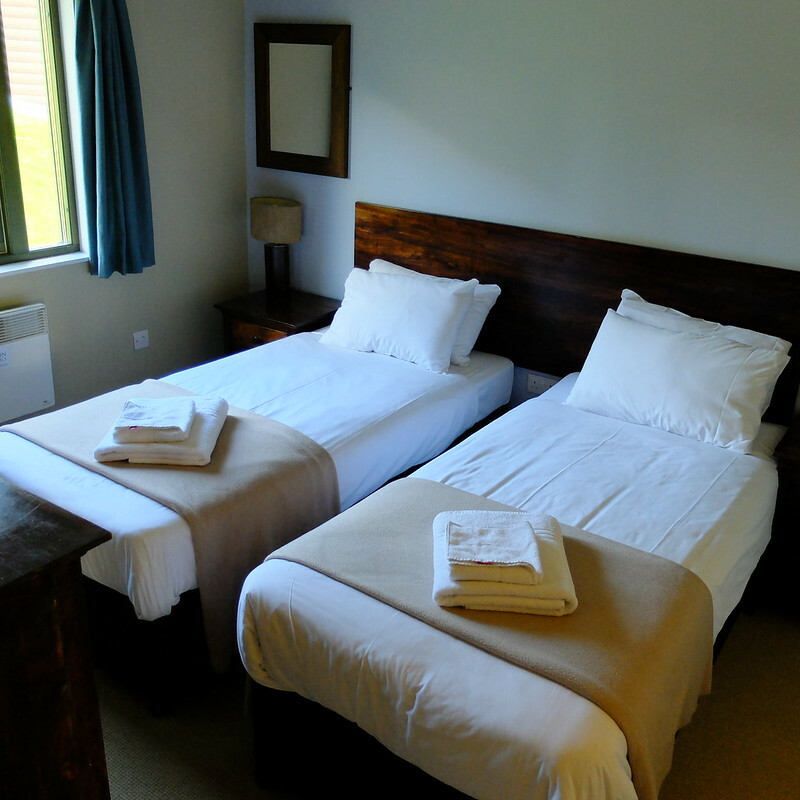 We stayed in one of the semi-detached Caldey Lodges, which sleep up to four. 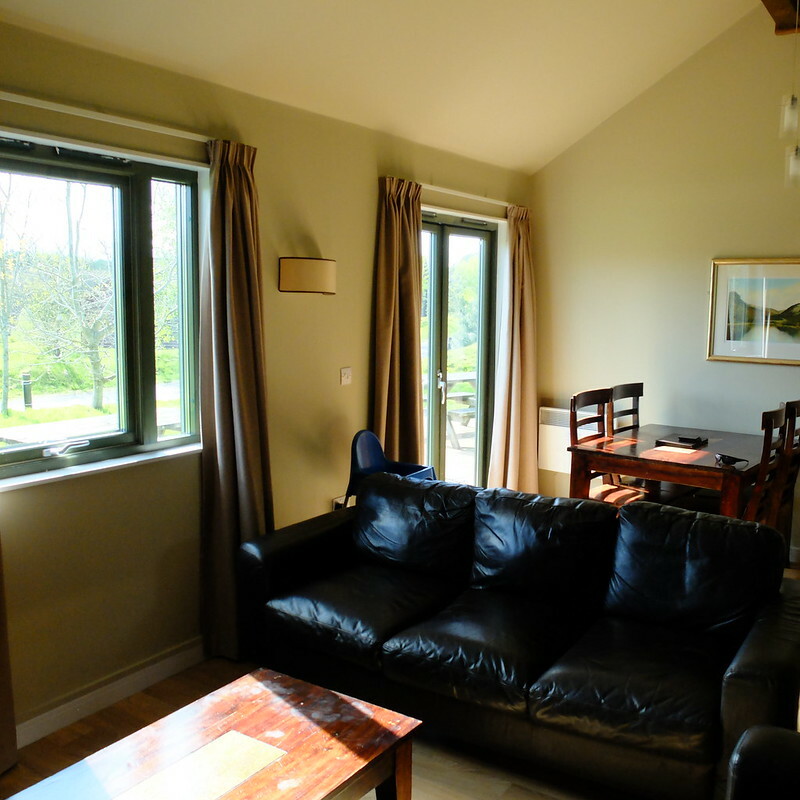 Being open plan, there's a really spacious feel to the lodge. 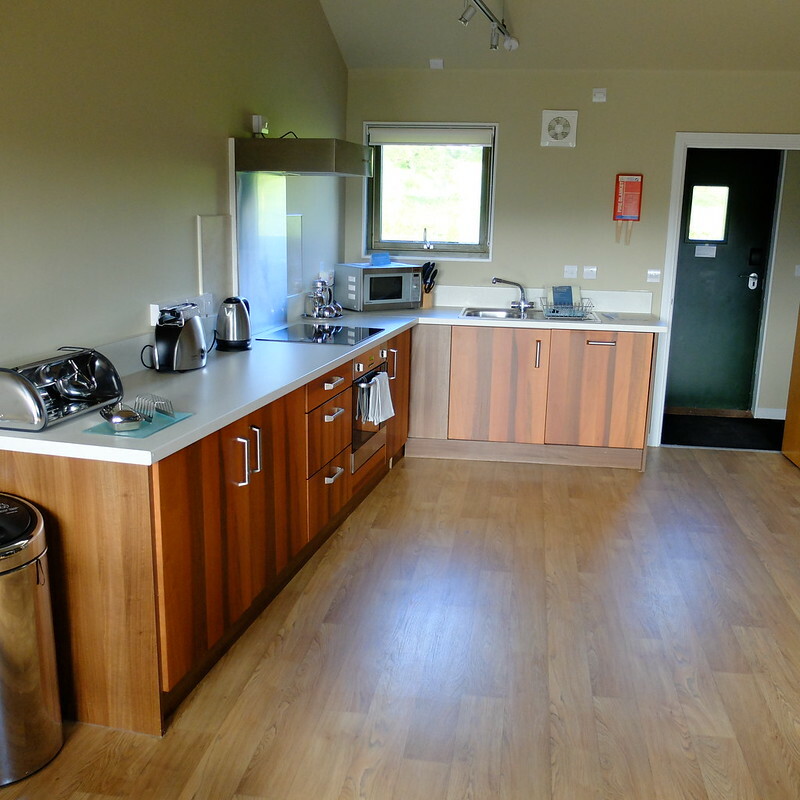 The kitchen was very clean and equipped with everything you could need, with lots of worktop space and some great big pans that will make cooking for a family or a group of people easy. A little welcome pack containing dishwasher tablets, washing up liquid and some cloths was a nice touch. Each lodge has its own patio, with a picnic table, and there are bike racks close by. We had a young family next door but didn't hear any noise from them at all, it was blissfully quiet and the lodges are very private. There's obviously a very family-focused element to Bluestone, but I think it's also a fantastic place for couples and I'm not sure this is really marketed. The site is truly beautiful, quite romantic really. We enjoyed walking around the small lake, strolling to the pub, getting lost in the forest (yes, we really did get lost and ended up far from Bluestone! ), discovering Camp Smokey (a bar with BBQ food and camp fire nestled in a ravine) and sitting on the patio with a glass of wine. The site is so quiet without any cars and so there are lots of different types of birds. 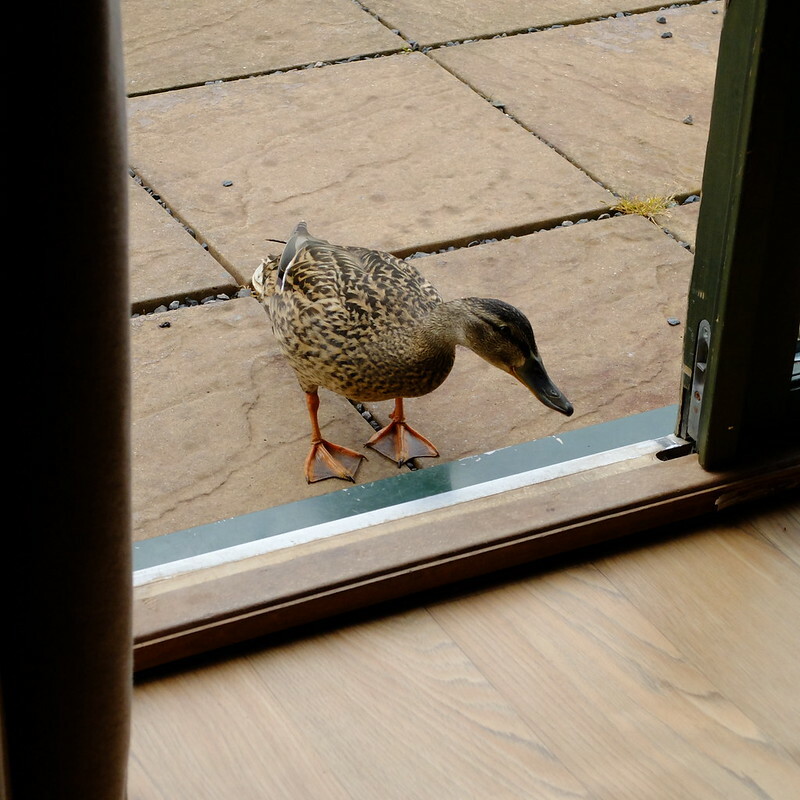 We even had some ducks trying to get in our lodge one morning! 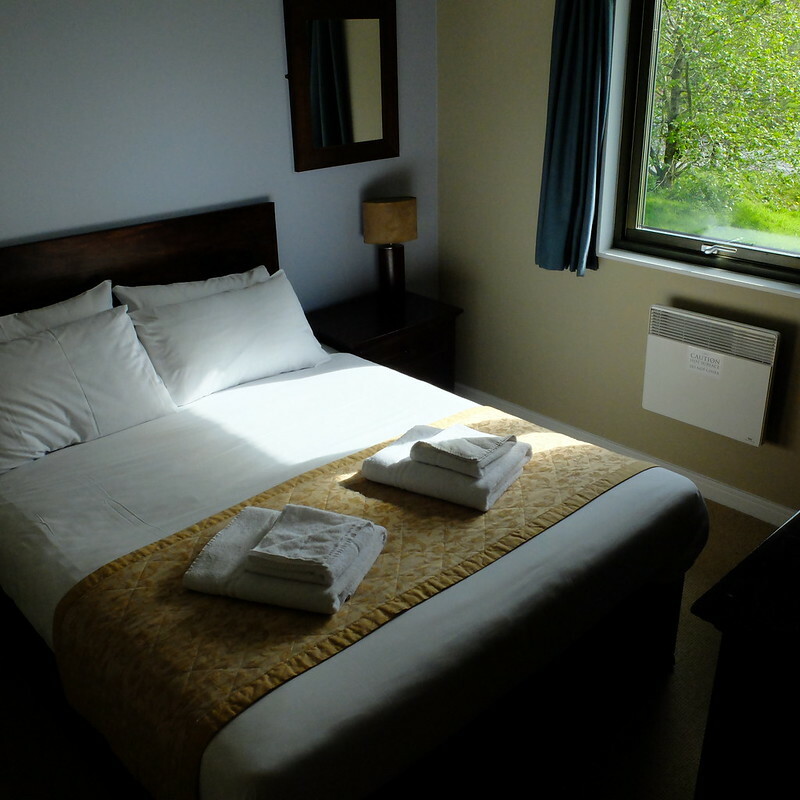 Bluestone is also in an excellent location for venturing off site if you want to - the nearest town is Narbeth, and Tenby is only 20 minutes drive away. 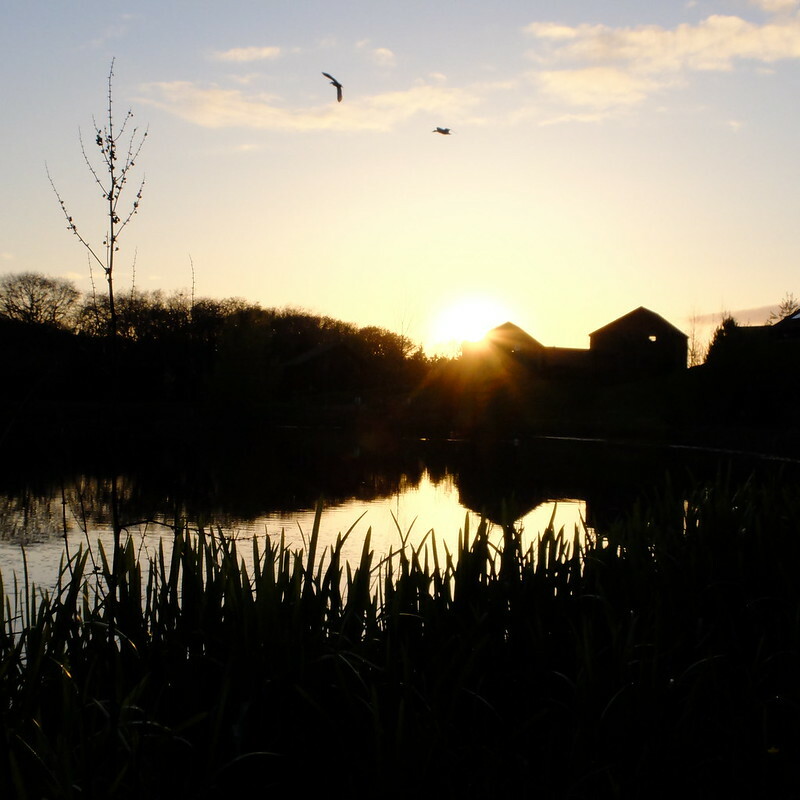 Bluestone is also right next door to Oakwood Theme Park, and very close to Folly Farm. I have lots of photos of what we got up to but will save those for a separate post! Being really picky about our stay, I think that the lodges were lacking a woman's touch in a few areas. 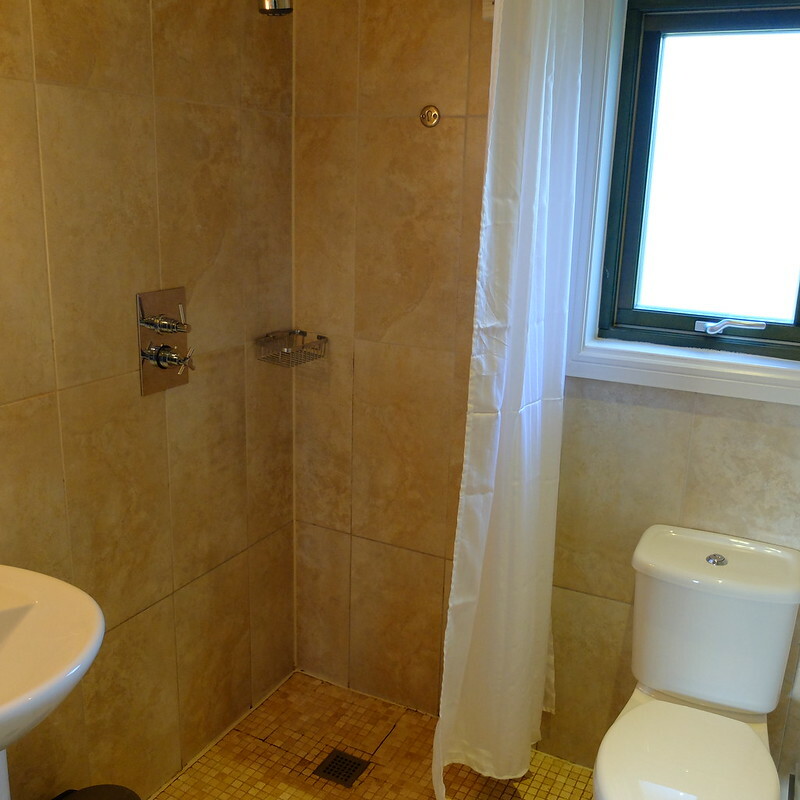 I don't really consider a bathroom to be luxury unless it has a bath and is a place you'd want to spend a bit of time in - so for me, the wet-room bathrooms with just a shower are more functional than luxury. 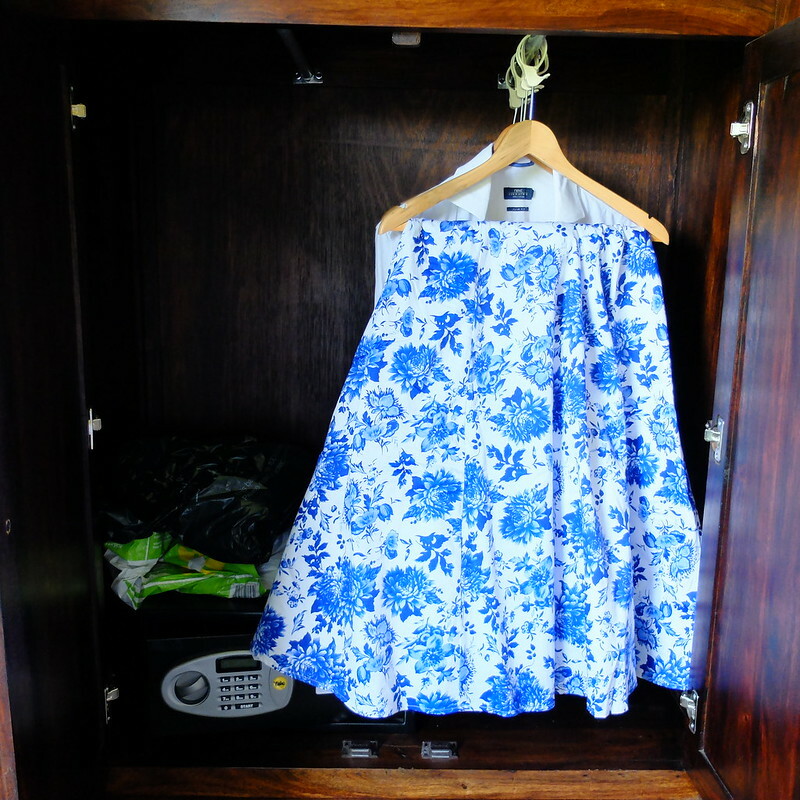 The bedrooms are well-furnished with lots of drawer space, but I wear a lot of dresses and the half-length wardrobe was a real squash, especially with the safe in it. If you're a clothes horse like me you will want to bring some extra hangers as not many are provided (I think there were only four, for two people's clothes?!). The mirrors and lighting in the bedroom weren't the best for doing make-up (the main mirror was behind the door in a dark corner), and there weren't enough shelves in the bathroom - the only shelf was high up over the toilet, when one under the mirror and above the sink would have been better. These are little practicalities, small annoyances really, but they again for me point to the lodges being completely geared for famillies, and presumably for mothers who don't wear dresses or makeup or have time to have baths. My final annoyance was the lack of instructions for operating the heating. It was cold in the lodge when we arrived, so I went around switching all the electric heaters on. Twenty minutes later I realised they weren't on, and had to go around switching on individual wall switches, and then finally discovered a master switch by the bathroom. I've read some comments that Bluestone can be a bit expensive in terms of activities and eating on site. 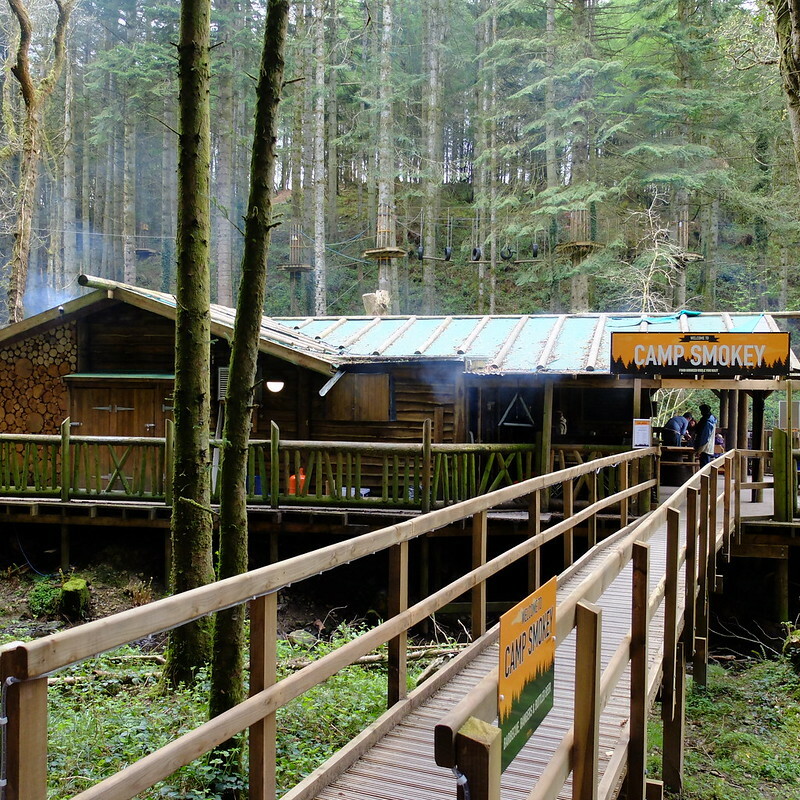 I think you could spend a lot of money, but you can also take advantage of a lot of the free entertainment and eat cheaply using the self-catering facilities in your lodge. Included in a stay at Bluestone is access to the Blue Lagoon indoor pool and water slides every day, as well as unlimited access to the Adventure Centre for children. 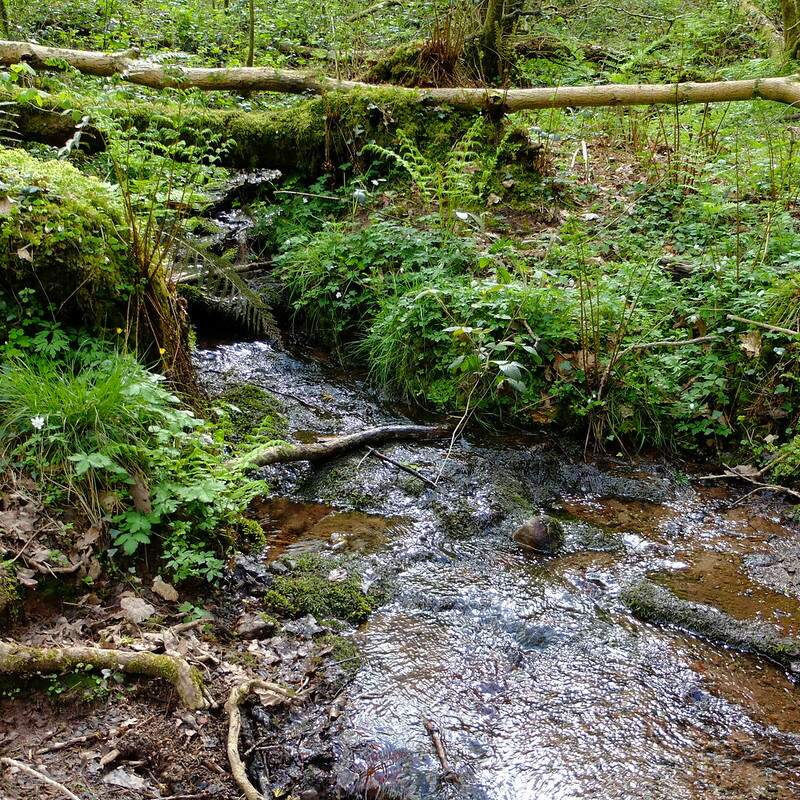 There is also a vast array of other activities to choose from, on a pay per activity basis, including coracle sailing, archery, climbing, high ropes, laser shooting and more, but there are also free guided walks, nature trails in the forest and cycle paths to explore. The village shop was well-stocked with some prices a bit above average (or 'London prices' as we say! ), but other items very reasonable. The cheapest prosecco I found was around £9 and red wine was around £7 and up. A really nice tub of posh ice-cream was only £2. We did our food shop off site, which probably saved us quite a bit (especially on wine...). We didn't visit the Well Spa (which looks fabulous by the way), as our budget was tight but you can use the steam rooms, 'experience' showers, relaxation room, and pool for £35 a person if you can't stretch to a facial or a massage (£70ish and up). To get around lots of people hire golf buggies (I think around £75 for the 5 days) and you can also hire bikes (£50ish) if you haven't got space to bring your own. In terms of the restaurants, at the Oak Tree starters were priced from £4.95 and mains from £9.95. 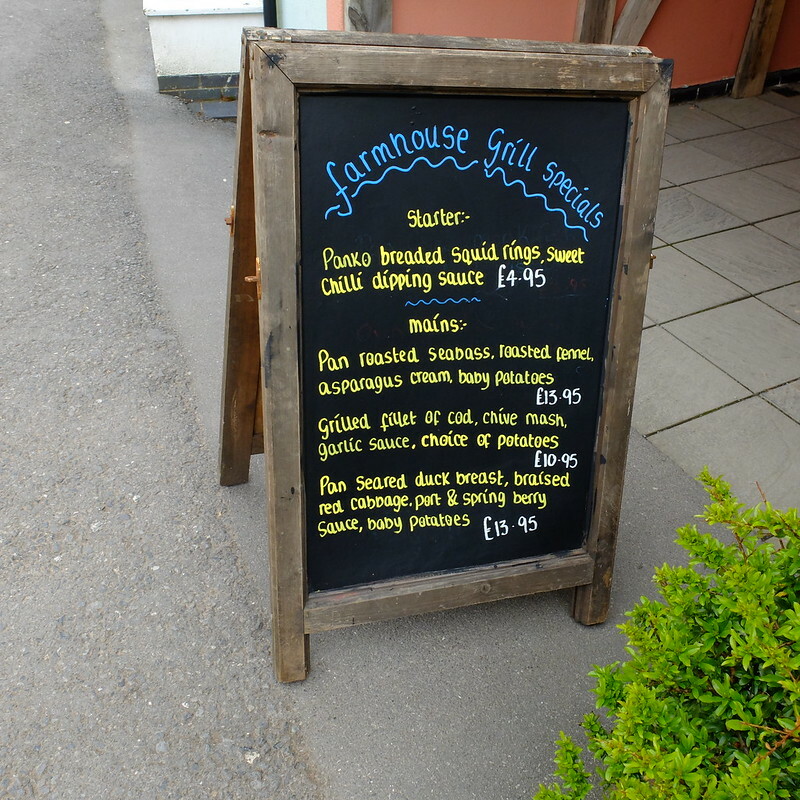 At the Farmhouse Grill, the choices on the specials board sounded good. Would I go again? Absolutely. I have a friend who regularly visits Bluestone because their out-of-season rates are so good, but I was a bit shocked at how much the lodges are in peak season. 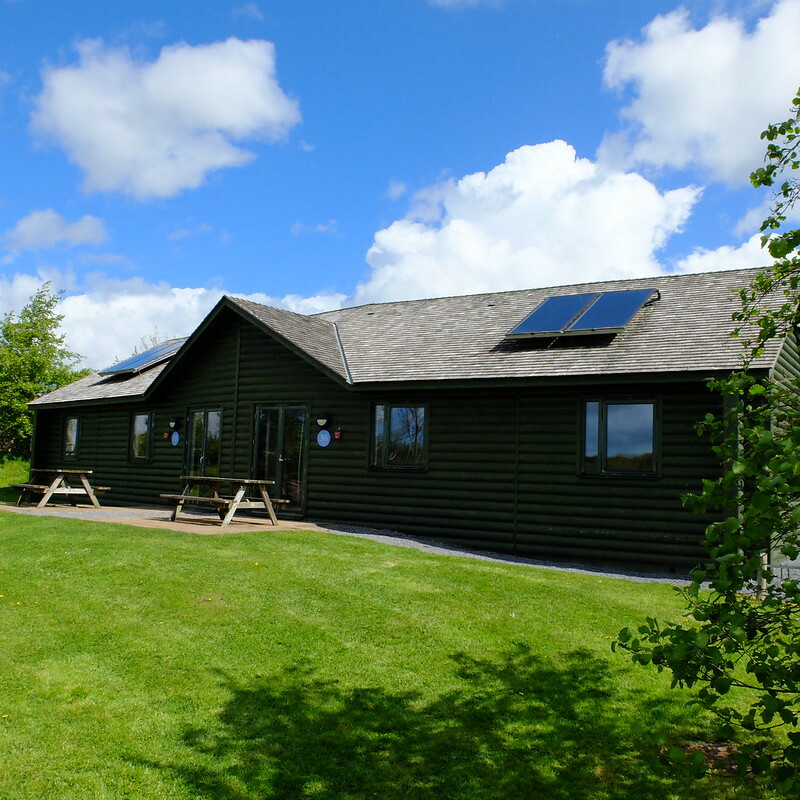 For a mid-week break of 4 nights (Monday to Friday) prices for a lodge sleeping 4 can go up to £1500 in the summer. I would definitely recommend booking far in advance or grabbing a last-minute deal to get the best value for money - I just did a quick check and the same midweek break in September is £299. Book now for Spring next year and you could get a break for as little as £169. That's really excellent value for Pembrokeshire. 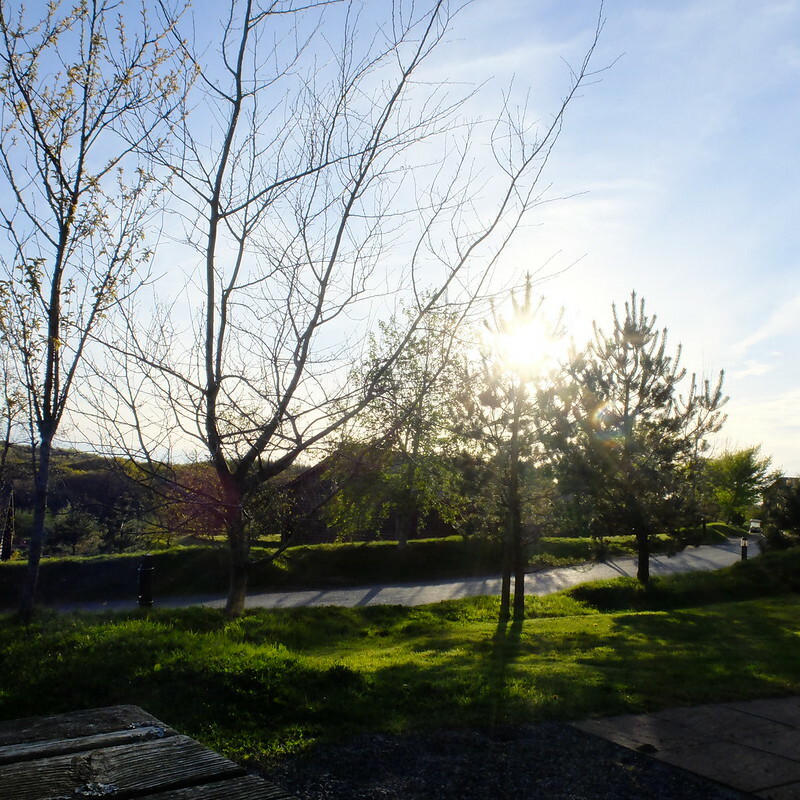 Bluestone provided us with a complimentary midweek break in exchange for writing this review. Words and opinions are completely and utterly my own, as always. The last time I holidayed in Tenby was in 1976! You're looking fab in your hiking gear. How's the foot doing? I feel sorry for parents who have no choice since they started clamping down on takingg kids out in term time. But the fines are less than the august rates so friends of friends pay the fines instead!! It looks great but i agree about the summer prices! I wish I had more days off to take time off mid-week! They never seem to stretch! That looks like such a wonderfully lovely corner of the world. It's great that you guys were able to get away and spend some time in the country. I'm a firm believer that all city dwellers should aim to do the same at least once a year and ideally more often if possible. The soul needs to commune with nature. Utterly dreamy scenery. The fluffy clouds and the bright blue sky and all the green... Just stunning. I'm glad you had such a good time, I would love to go myself sometime. 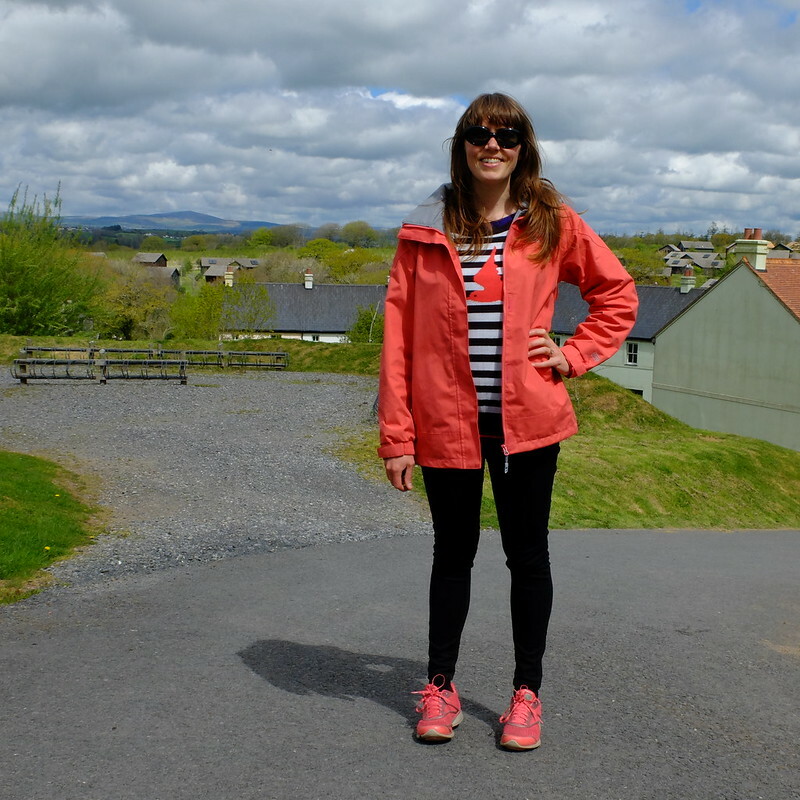 I would LOVE to have you link this up with my new travel linkup for lifestyle bloggers! This looks so perfect, it is like finding a classic Canadian cottage in England....I'm so homesick I just may book for this spring! Looks like a brilliant place to stay in a part of the world I love. And I love the look of the wild nature on the doorstep! Thanks for linking up with #reasonstotravel!